Chipotle Mexican Grill has announced its official partnership with DreamHack, the premier gaming and digital lifestyle festival, and ESL, the world’s largest esports company. Already a fan favourite and staple among professional gamers, streamers and fans, Chipotle looks to further establish its esports presence as the official partner of DreamHack Masters Dallas. Chipotle will also serve as the presenting partner of DreamHack Open Atlanta and an integral part of ESL’s Intel Extreme Masters (IEM) Chicago. Activations at DreamHack competitions will include launching the Chipotle Challenger Series, player and VIP hospitality programs and digital content surrounding the events. “Our partnership with DreamHack allows Chipotle to become even more ingrained in the esports community. This sponsorship provides the perfect platform to directly engage new and longtime loyal Chipotle fans on-site and online, and we are excited to recognize and reward possible up-and-coming talent in the space,” said Chipotle chief marketing officer Chris Brandt. “Since launching our first North American event in 2016, DreamHack has been able to continue to grow and capture a larger audience both online and on-site in the United States. Having a partner like Chipotle on board to support what we are already doing while adding more content to the event is tremendously exciting for us. DreamHack Dallas will be the biggest North American event we have hosted to date and is the perfect location to kick off this partnership,” said DreamHack chief product officer Michael Van Driel. Most notably, Chipotle, DreamHack and ESL will be launching the Chipotle Challenger Series, a new on-site amateur tournament that gives attending fans the opportunity to join the competition and prove their skills in some of the world’s most popular games. Champions will win the custom Chipotle Challenger Series trophy, a special card for a year of free Chipotle and one-of-a-kind Chipotle swag. Registration will be open to all event attendees at DreamHack Dallas and DreamHack Atlanta. “Chipotle’s integration is a natural fit, and we would like to officially welcome them to the ESL family. The Chipotle Challenger Series is exemplary of how a brand can activate in a smart and creative way that allows fans to join the action,” said ESL SVP, brand partnerships Paul Brewer. In addition to the Chipotle Challenger Series, Chipotle will be sponsoring the player lounges at all three of these high-profile events as well as Rank S Combine. The VIP lounge lets players, talent and celebrities relax and refuel with Chipotle in between games and performances. All of the on-site consumer and VIP experiences will be supported by Chipotle-branded digital content. This content, which will be viewed by fans tuning in all over the world, will feature popular influencers and spotlight the Chipotle Challenger Series as well as all on-site elements. Chipotle has turned to REV/XP, a global leader in esports marketing and activation, to manage and execute the various components of its comprehensive esports sponsorship with DreamHack and ESL. This includes sponsorship strategy, creative design and experiential production. “When we initially sat down with Chipotle’s marketing team, they recognized how passionate fans are about the games they play and follow in esports, and Chris’s team really wanted to throw Chipotle’s support behind these passions. 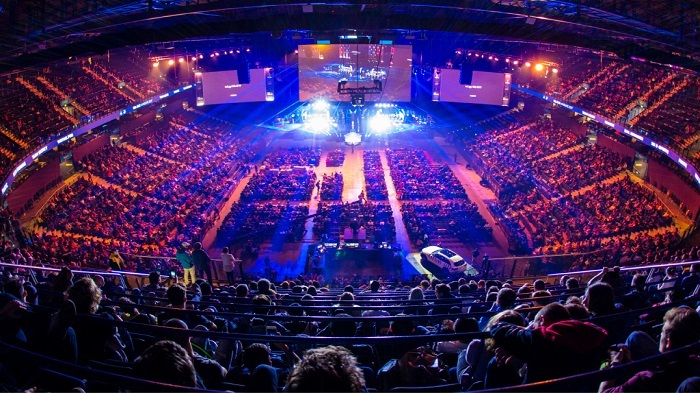 The collaboration with ESL, and DreamHack specifically, will appeal to a variety of gaming interests and is a great way to bring value to space by recognizing and rewarding fans that get directly involved at events. We are privileged to be a part of these efforts,” said REV/XP co-founder and SVP Dan Ciccone. The partnership begins with the Chipotle-sponsored player lounge at Rank S Combine 12 April to 14 April, 2019 at the MGM Grand Las Vegas. Learn more about the partnership and be sure to register on-site for the Chipotle Challenger Series if attending the mentioned DreamHack events.